Looking to upgrade to a comfortable and practical new sedan for your commutes around D’Iberville, Gulfport, and Hattiesburg? The Kia Optima is a great option, especially since it delivers tons of safety features and modern technology. The vehicle is available in a variety of trim levels, with several different options and packages to choose from. With so much to consider, you may find that you need some help making a choice as to which options are the best fit for you. 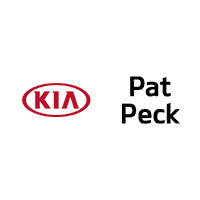 That’s why our team at Pat Peck Kia has created this helpful eBook to guide you through all your choices. What’s even better? 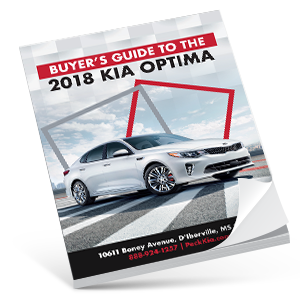 You can get your Buyer’s Guide to the 2018 Kia Optima eBook for free! If you’re ready to get all the information you need to know about the 2018 Kia Optima sedan, it’s time for you to get access to our free eBook. Enter your information in the simple form below, and you’ll get immediate access to our ultimate buyer’s guide. If you have any additional questions, feel free to contact Pat Peck Kia.